Safety comes first! No drinking alcoholic beverages before or while shooting. Dogs must be on a leash at ALL times. Protective glasses & ear protection is mandated for shooters and guests. Rented carts are the responsibility of the renter and must be handled with care. Any damage to the carts or damage caused by cart use, during the event will bear solely to the renter, regardless of the user at the time damage occurs. Shot size must be 7’s or smaller. Main Event Rules: The total of scores shot in Main Event: Hunter’s Challenge, Super Sporting Clays, Pigeon Ring and Super Pigeon will be used to determine an overall winner. The winner will be awarded 1st Prize when drawing of guns occurs at the end of the event on Saturday Afternoon. All other Main Event competitors’ total scores will be listed from 2nd high overall to last place and Lewis Class will determine the winners of the remaining guns to be drawn. In the event of any ties, tiebreaker stations from sporting clays will be employed to determine a winner. NSCA Lewis Class Rules will be used to settle any disputes. There will be a copy of Lewis Class Rules at our registration table. Remember, this is a “Classic” event, not a tournament. Scores in the main event are used only to determine “Lewis Class” bracket winners. The total number of groups or Lewis Class brackets is based on the number of guns to be given away. Lewis Class winners will be allowed to choose from all remaining guns until all winners have been announced. In the event that a shooter cannot attend the awards banquet he or she may elect someone else to choose from the guns available. However, he or she elected must have the winners shooter badge in hand at time of selection. The transfer of the gun will be done in accordance with accepted BATF regulations for the winner. If someone has not been chosen to select a firearm for an absent winner, MRC shoot management will select on his/her behalf. This also applies to door prizes. 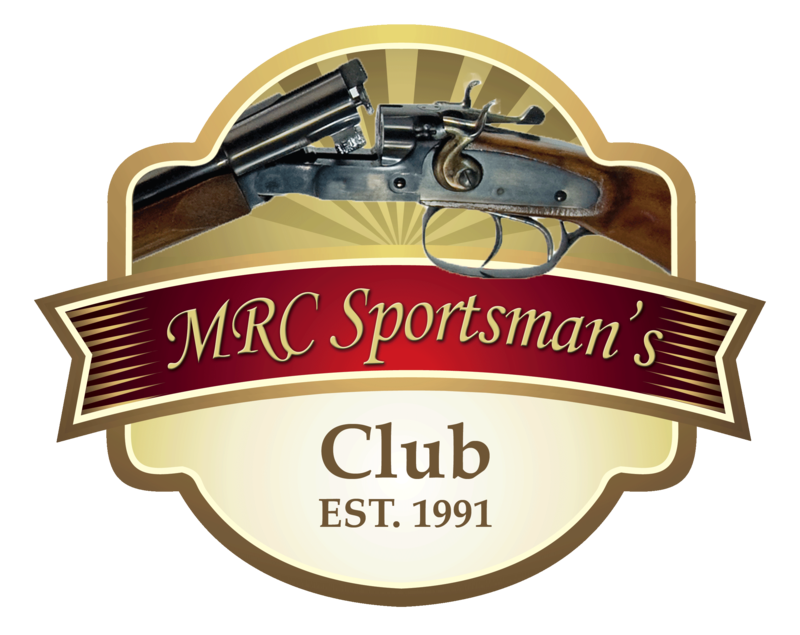 MRC Sportsman’s Club will be happy to ship the gun through Shay Creek Sports, LLC of Medford. Costs related to shipping will be the responsibility of the winner. Gun Requirements: Wednesday and Thursday – Any gun can be used to shoot in all events, including side-x-sides, over-unders, autos and pump shotguns. Friday and Saturday- Only side-x-sides are allowed to be used. Hunter’s Challenge Rules: Hunter’s Challenge will involve 10, 8 bird stations with either report or true pair combinations. The shooter will shoot a report pair or true pair from the first shooting position and the next four targets will be taken from a second shooting position. Unlike Sporting Clays no target presentation will be repeated. Thus, you will never see a repeated presentation. Only the first shooter of each squad will be given the chance to view a target presentation from the ring or shooting box. Self-trap, self score. Any gun on Wednesday and Thursday, side-by-sides only on Friday and Saturday. Any choke, any gauge, any day. 80 birds total. Super Sporting Rules: Super sporting is a 3 trap presentation at each station. A menu will advise of each report or true pair given and a total of 8, 8 bird stations and 2, 10 bird stations will be provided. Only the first shooter of each squad will be given the chance to view the targets while in the shooting ring or box. A total of 84 birds will be presented in the event. Self-trap, self score. Any gun on Wednesday and Thursday, side-by-sides only on Friday and Saturday. Any choke, any gauge, any day. Pigeon Ring Rules: The Pigeon Ring will only be shot in the main event on Saturday. Each squad of 6 shooters will attempt 4 targets at each of 6 shooting positions for a total of 24 targets. Shooter may shoot twice at each target. A target is considered “hit” only if shot breaks the target and the ribbon falls “inside” the ring or fence. A target that falls inside the ring without being hit is considered a “miss.” Shooters will rotate just as a squad shooting a round of trap. 4 targets will be presented at each position until all 6 positions have been shot. Trapper will score the event. Super Pigeon Rules: “Super Pigeon” is shot very much like 5 stand. 6 stations with 6 birds (3 report pair) at each station. This will be an 8 trap presentation with a specific menu for each station. A report pair thrown from 2 of 8 throwers. Each pair will have at least 1 pigeon (clay target with ribbon attached). Any broken target scores 1 point, whether it has a ribbon attached or not. Any ribboned “pigeon” target hit also scores 1 point if broken, however 3 points if ribbon falls inside the pigeon ring. Only green birds will have ribbons attached, black and orange will not. 36 total targets. Each shooter will rotate through positions 1-6 until 36 targets have been presented. It is permissible to shoot more than one time at a target, however, the first target must be attempted before the 2nd is thrown. Note, these rules are very different from “Pigeon Ring” as this is a report pair presentation. Your trapper will explain the rules prior to your event. Any gun on Wednesday and Thursday, side-by-sides only on Friday and Saturday. Any choke, any gauge, any day. Mark’s Born Again Birdguns “Flurry” Rules: Mark’s Born Again Birdguns will sponsor this years Flurry as a separate event Thursday only from noon to 4 pm. This is not included in the main event. This is a 3 trap presentation, a bird is released from one of the 3 traps at random, approximately every one and half to two seconds apart. You may use any number of helpers to load your gun or guns, any gauge, any choke. All guns must be controlled throughout the entire event. Trapper will score this event. 60 birds total. 5 Stand Rules: Any gauge, any choke, trapper will score this event. Any gun on Wednesday and Thursday, side-by-sides only on Friday and Saturday. Any choke, any gauge, any day. Makers Challenge: We will again hold the Makers Challenge. When you shoot 5 Stand be sure to put down the make of the gun you are shooting. The 3 highest scores from each maker will be added up. The highest total will determine the winners. Winners will have bragging rights and their names placed on a plaque in the clubhouse. Note: The rules are subject to change and may be modified. This is simply a general overview of the rules.